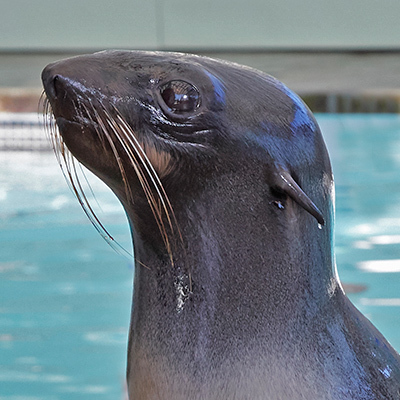 It’s Thanksgiving, and families have gathered together for football games, feasting, and ol’ fashioned family fun. 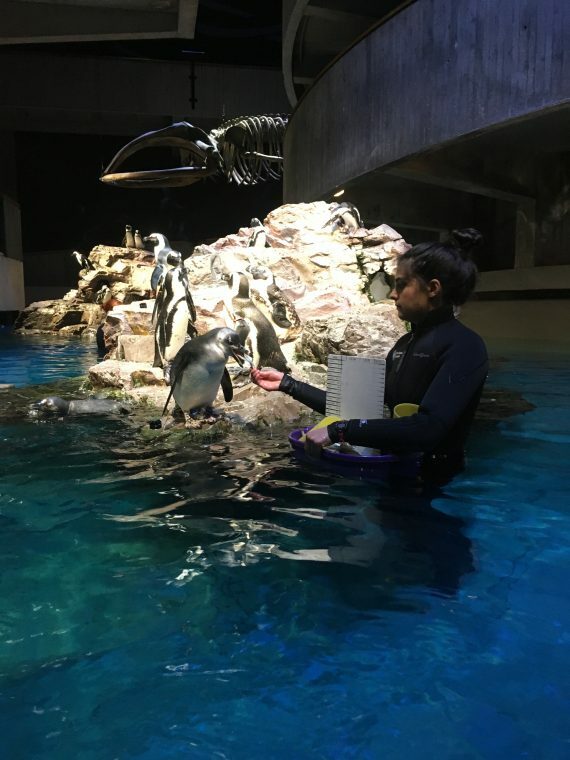 But our dedicated staff puts all that on hold until our animals are healthy, comfortable, and well-fed. 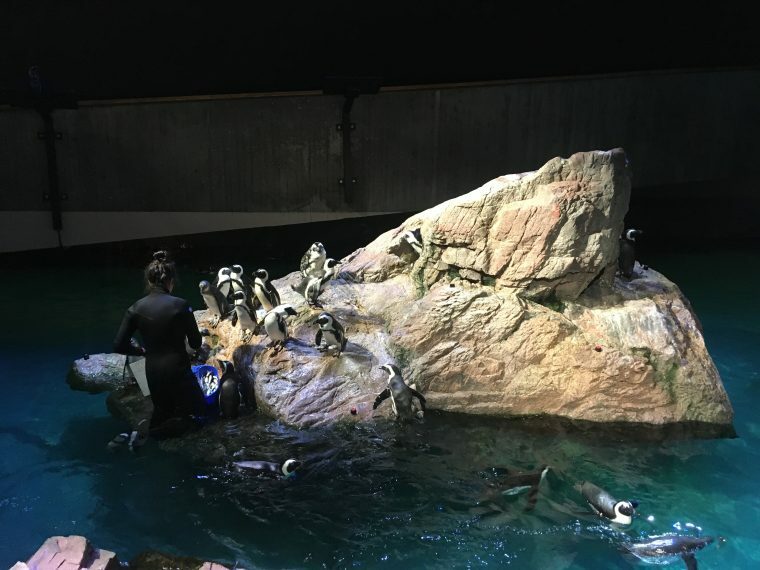 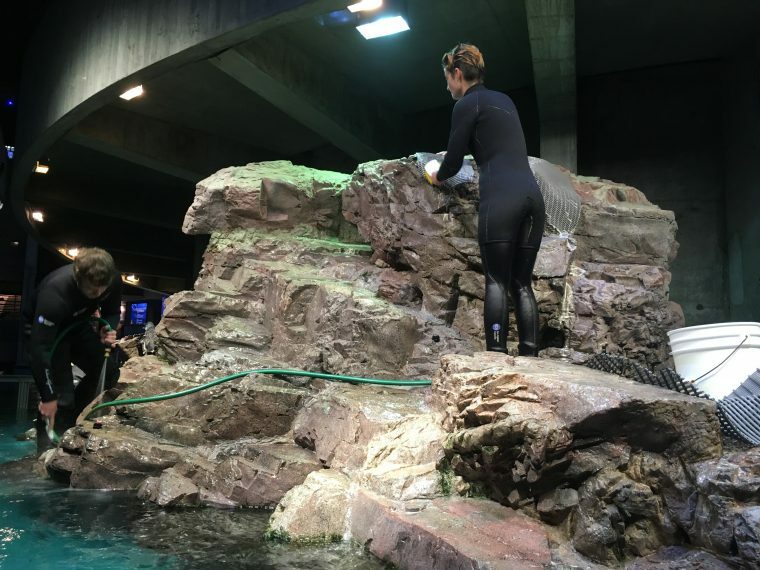 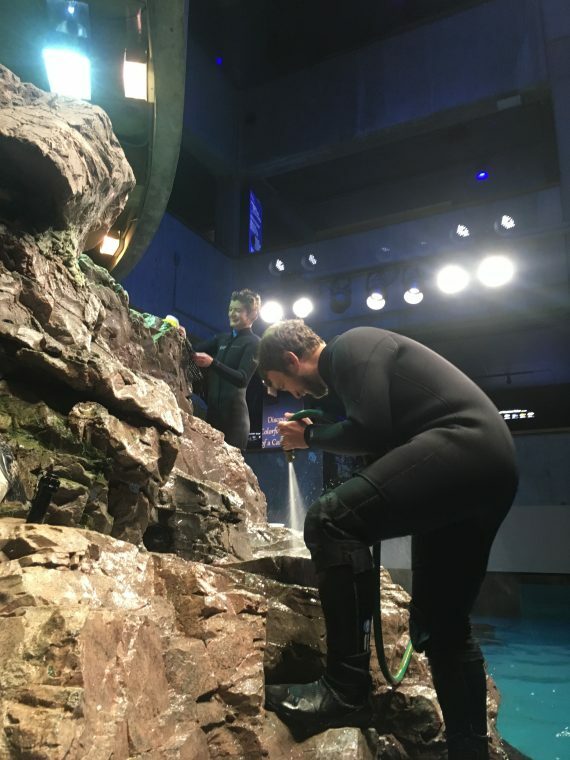 Here’s a glimpse behind the scenes at the Aquarium. 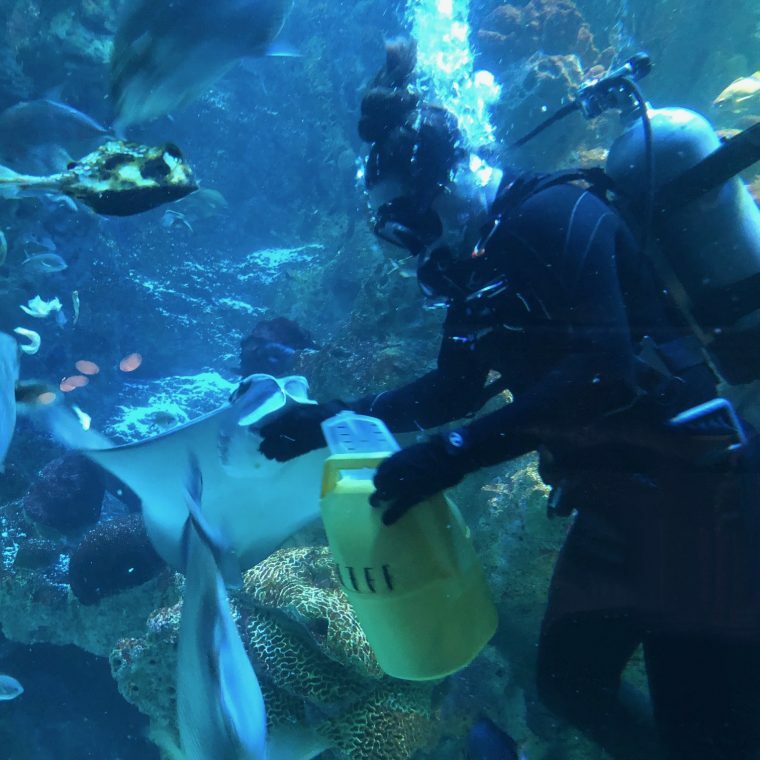 The building is closed to the public, but as you can see there are plenty of people—staff and volunteers—who are working hard to care for the amazing marine animals in our care. 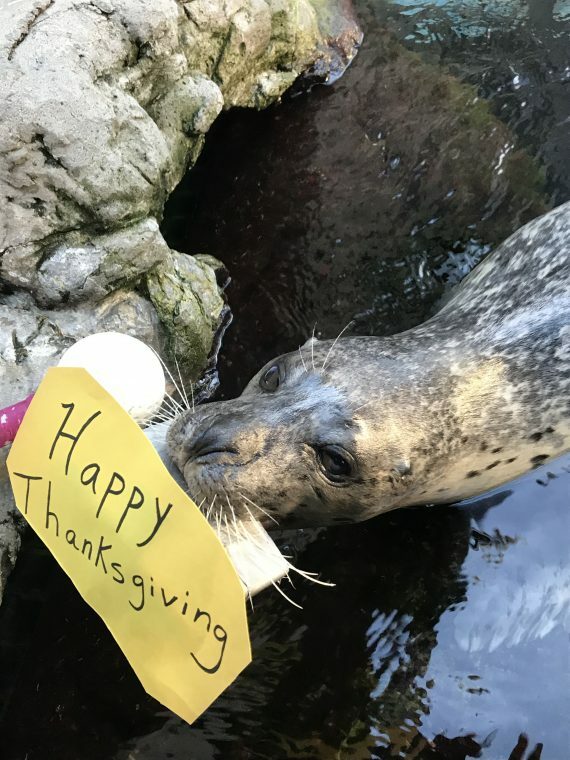 You wouldn’t expect Myrtle to go without her favorite food (Brussels sprouts) on Thanksgiving! 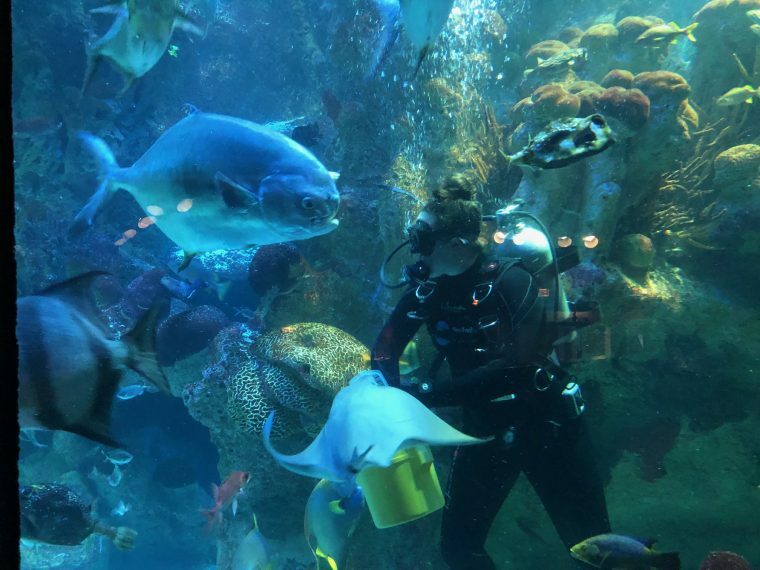 Divers Mike, Lindsay, and Kirsten all trekked in to feed the animals in the Giant Ocean Tank today. 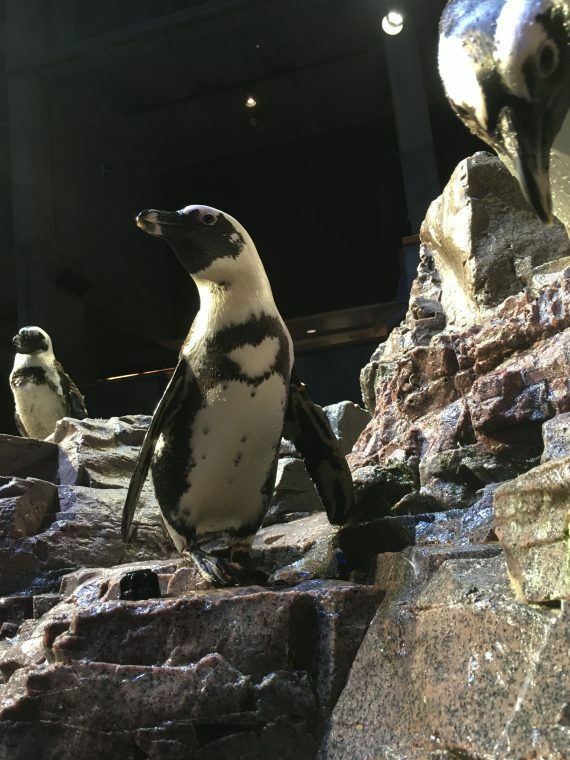 Check out our recent Facebook Live to see what’s on the menu in our largest exhibit. 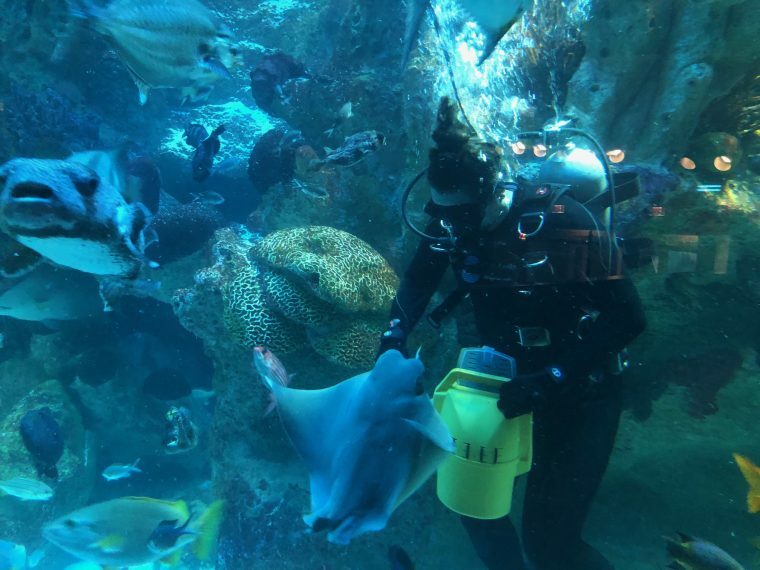 There’s quite a variety with 900+ mouths to feed! 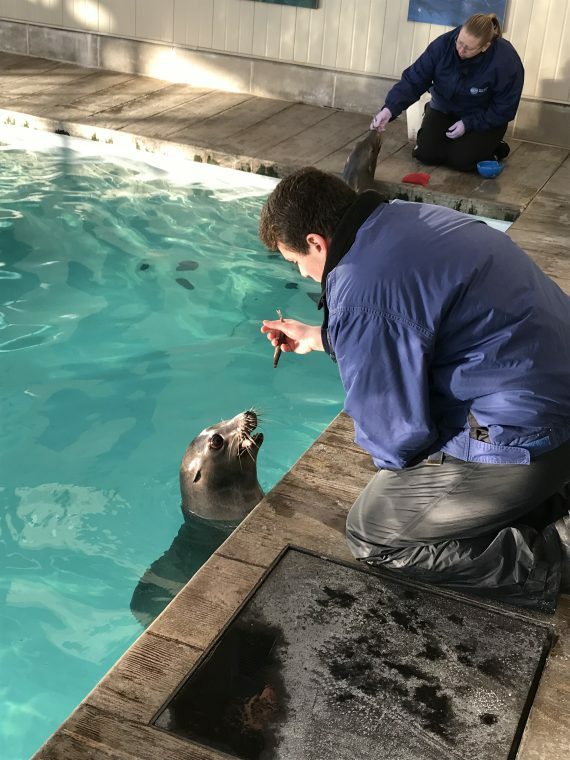 Mario, Tommy, Belinda, Jaqueline, Kim, and Shannon came in to prepare food and feed our seals and sea lions. 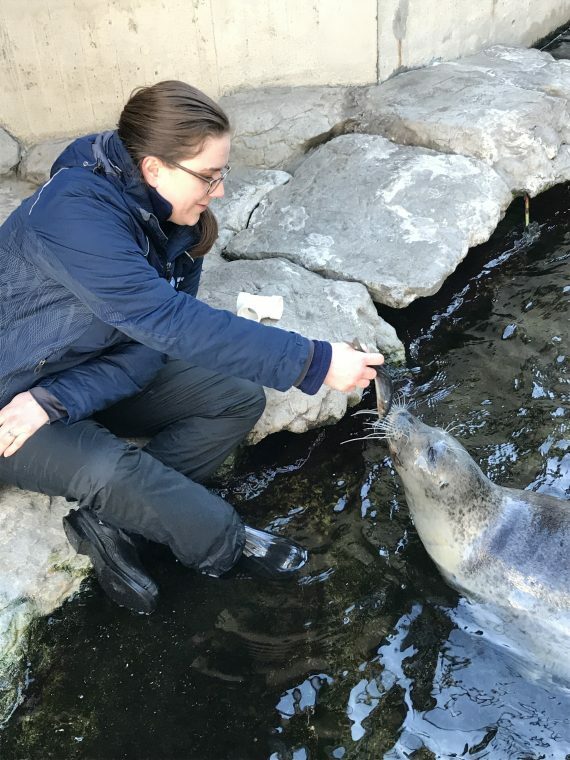 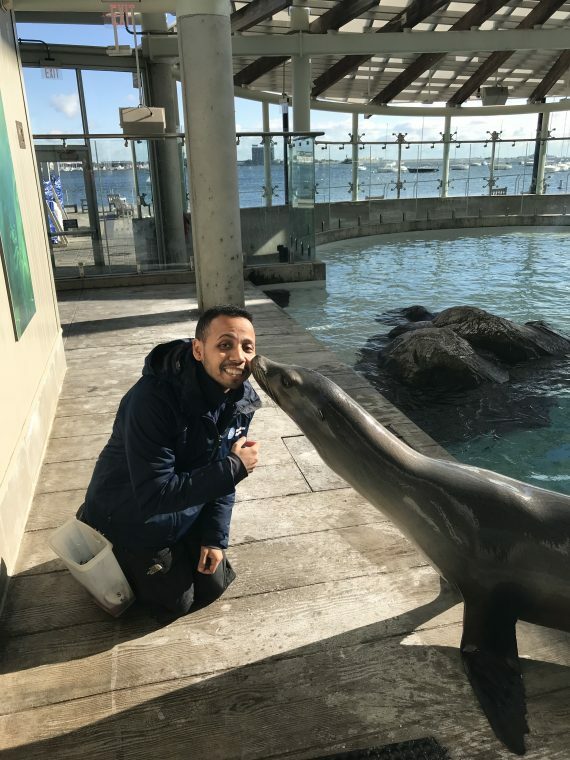 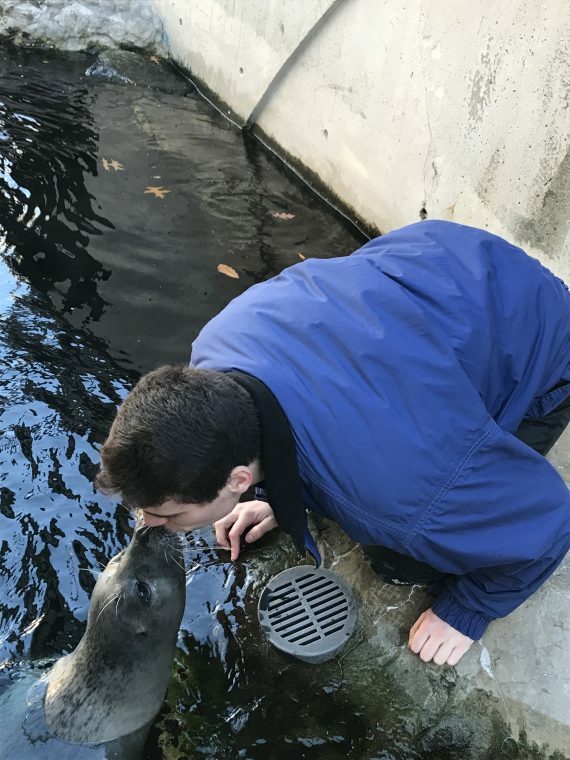 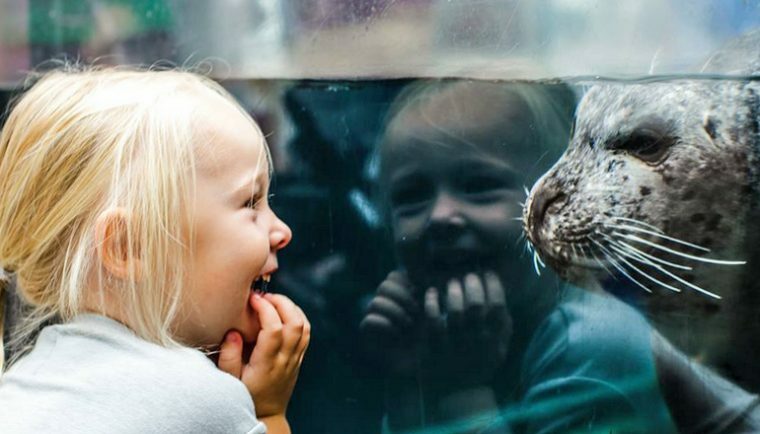 Not only do the harbor seals, fur seals, and sea lions get their nutritious, sustainably harvested feasts, but they also have some enriching fun with their trainers. 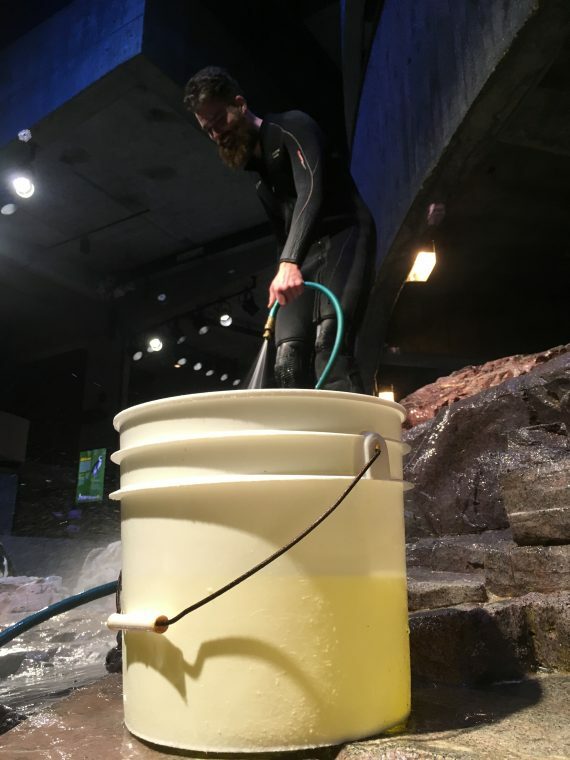 Not only are there more than 80 mouths to feed in our penguin exhibit, but their rocks get a thorough scrub down, too. 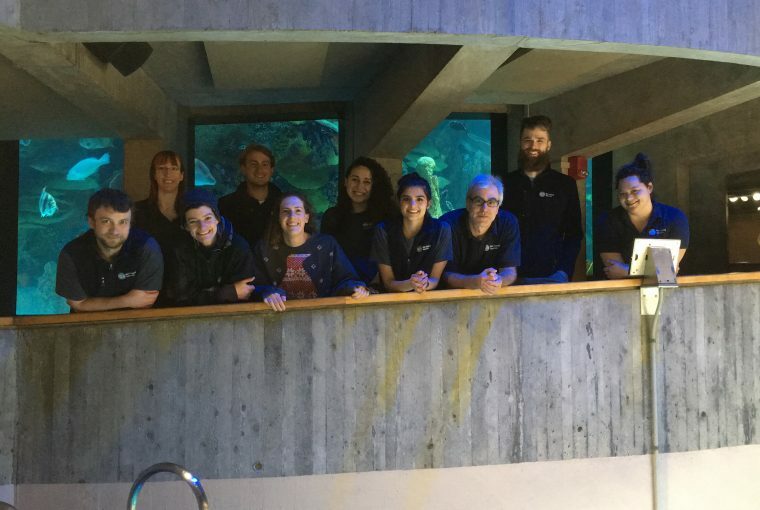 That takes this hardworking team of staff and volunteers: Julie, Brendan, Anjali, Gabi, Eric, John, Brooke, Alysse, Nick, and Adrienne. 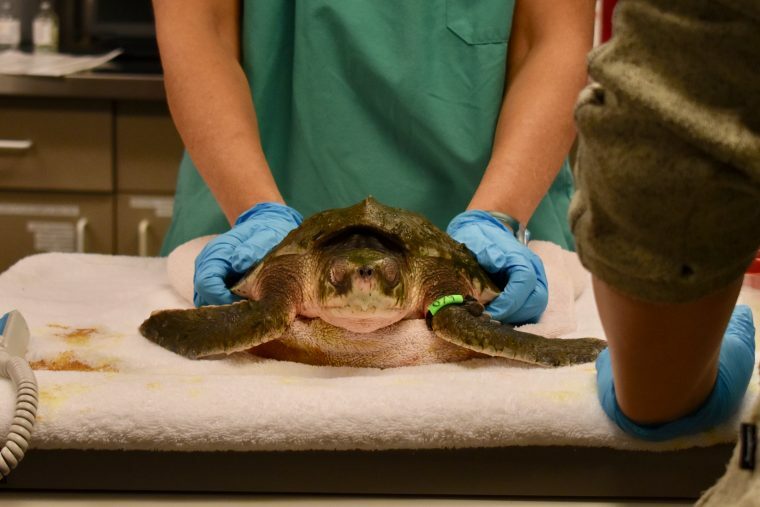 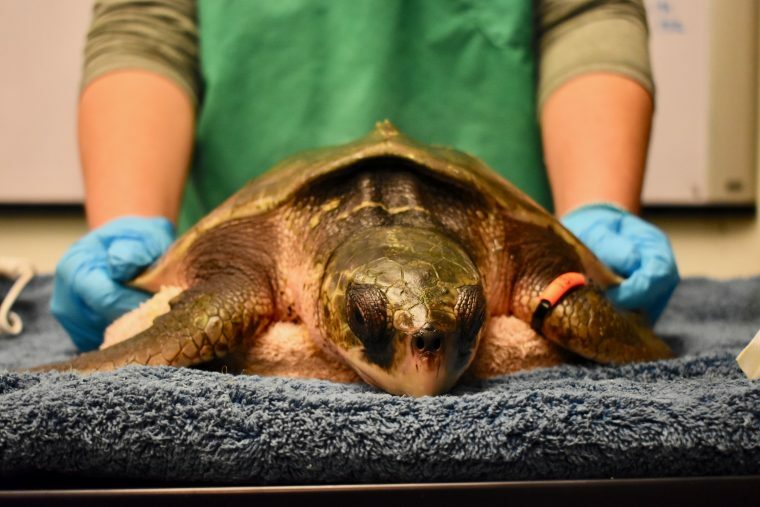 Even as endangered cold-stunned sea turtles are stabilized and flown south to complete their rehabilitation, more turtles are coming in from Cape Cod. 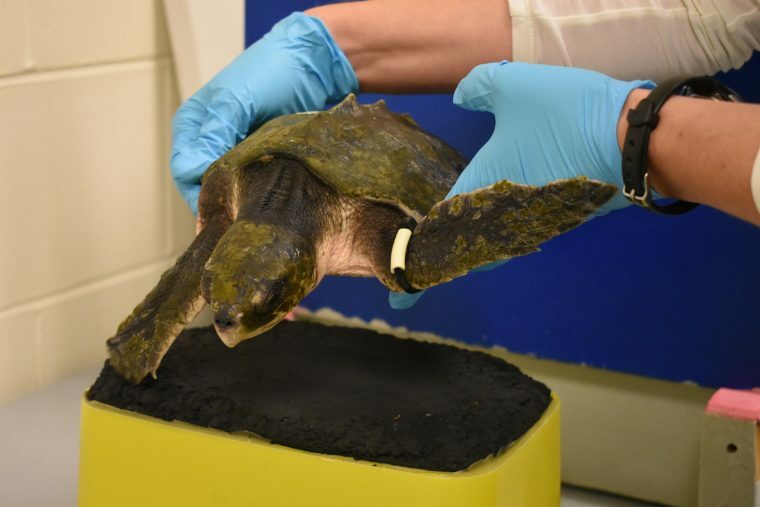 That means our rescue staff is skipping their turkey dinners to make sure these cold-stunned sea turtles get the best chance for survival. 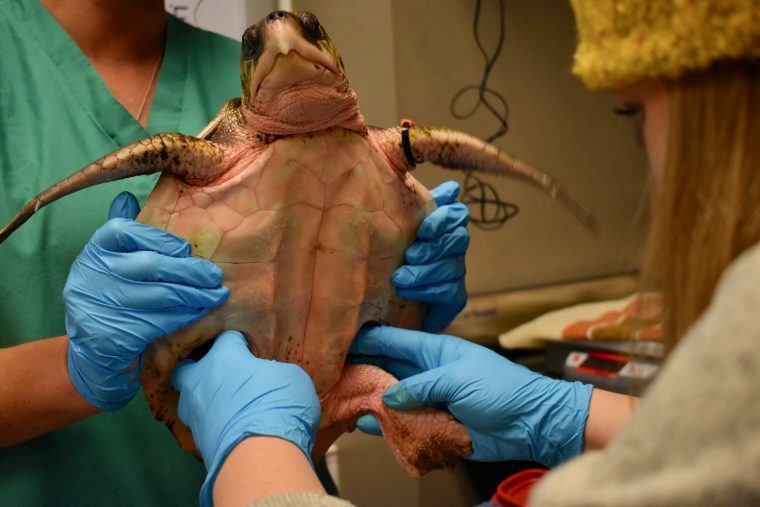 Turtles are slowly warmed, examined, treated for underlying illnesses, and given any medicine and fluids to jump-start their recovery. 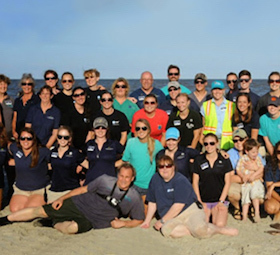 And these are just a few of the people working to care for marine animals on this holiday. 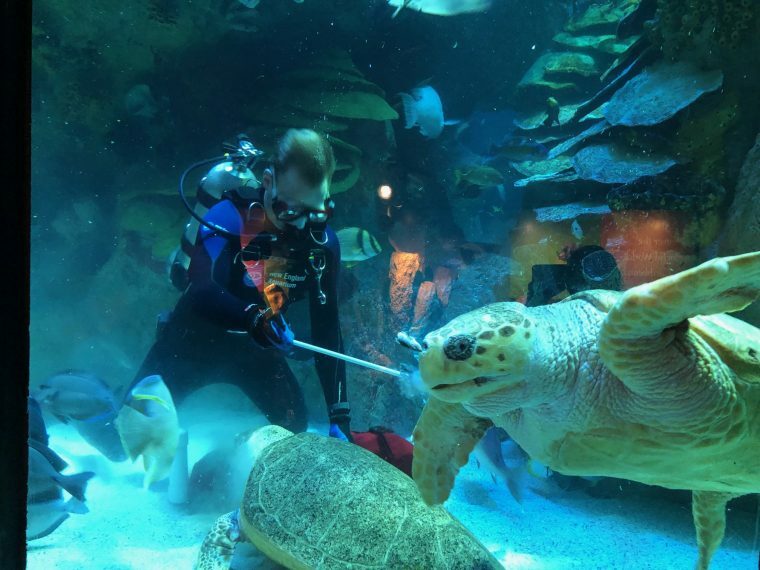 There are countless others working today and behind the scenes to protect our blue planet and the animals that live in our oceans and freshwater habitats—from right whale researchers and sea turtle rescuers to those caring for endangered penguins and sea turtles at the Aquarium. 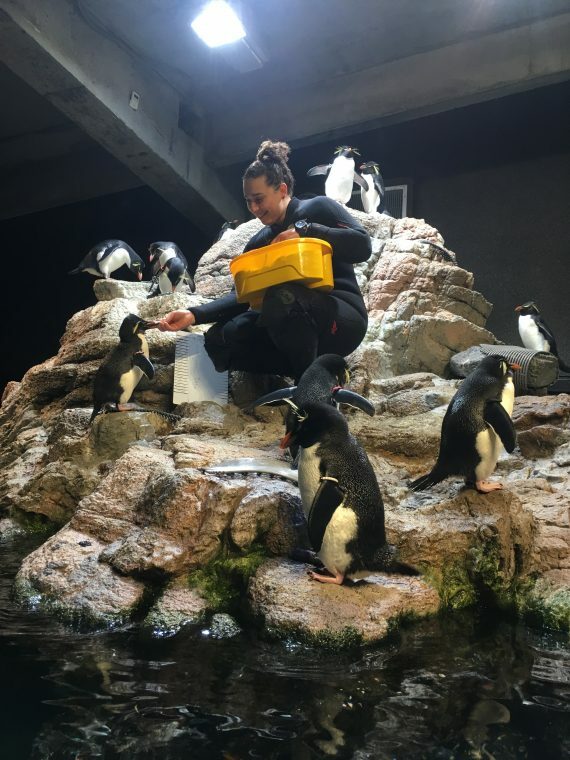 We are grateful to those dedicated staff as well as all the visitors and donors who make our work possible. 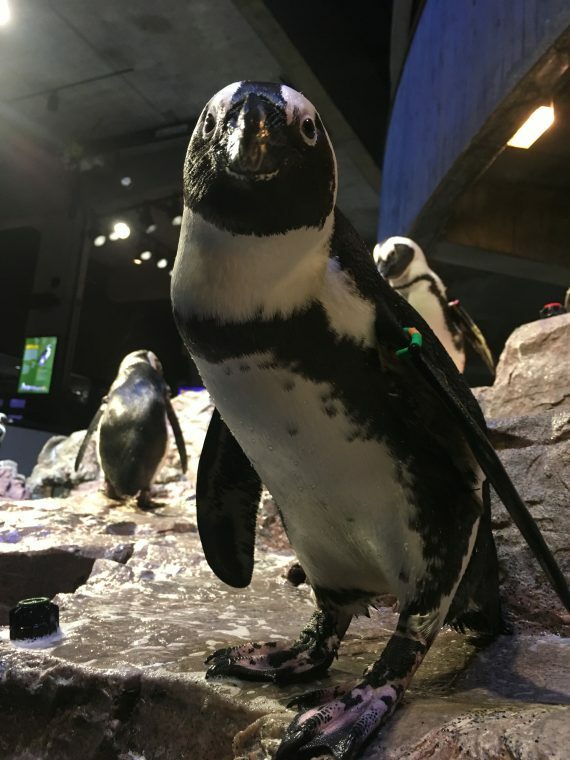 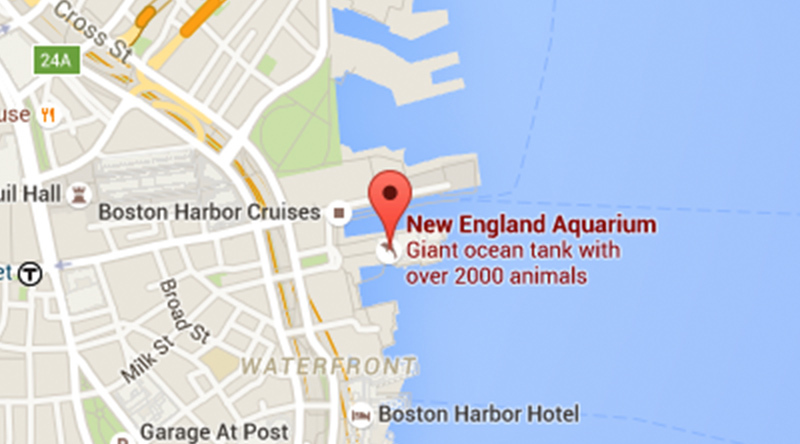 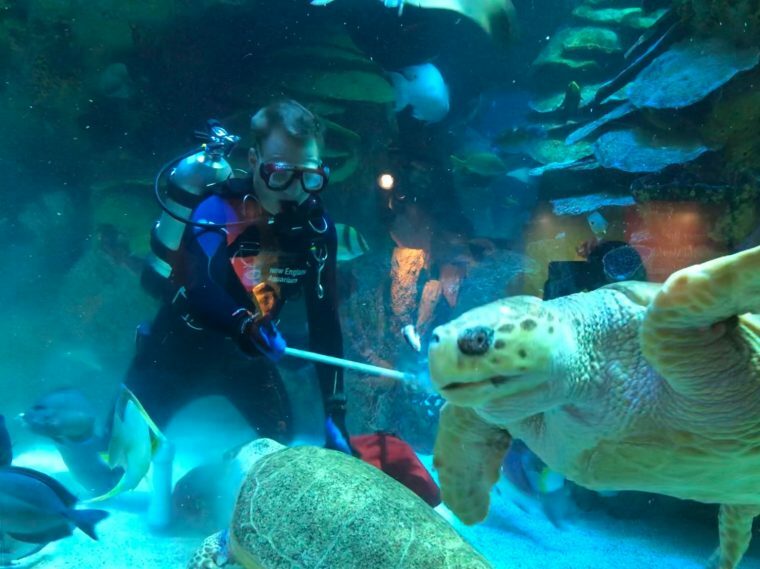 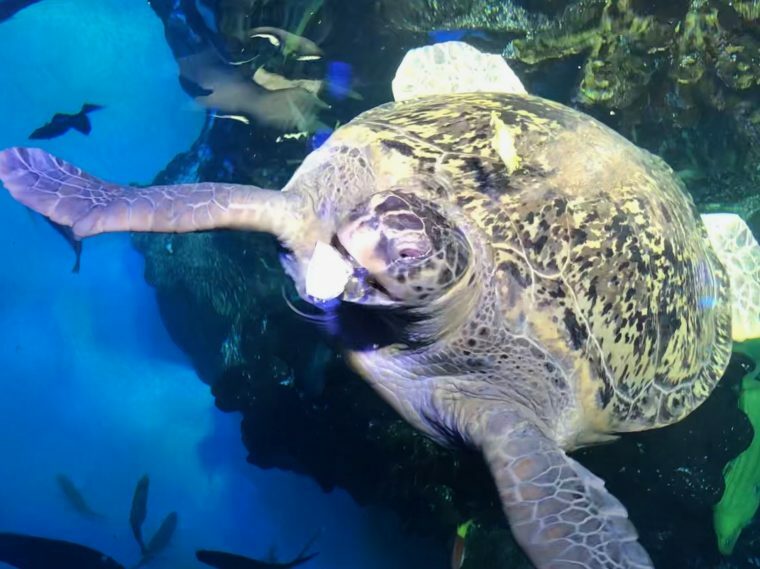 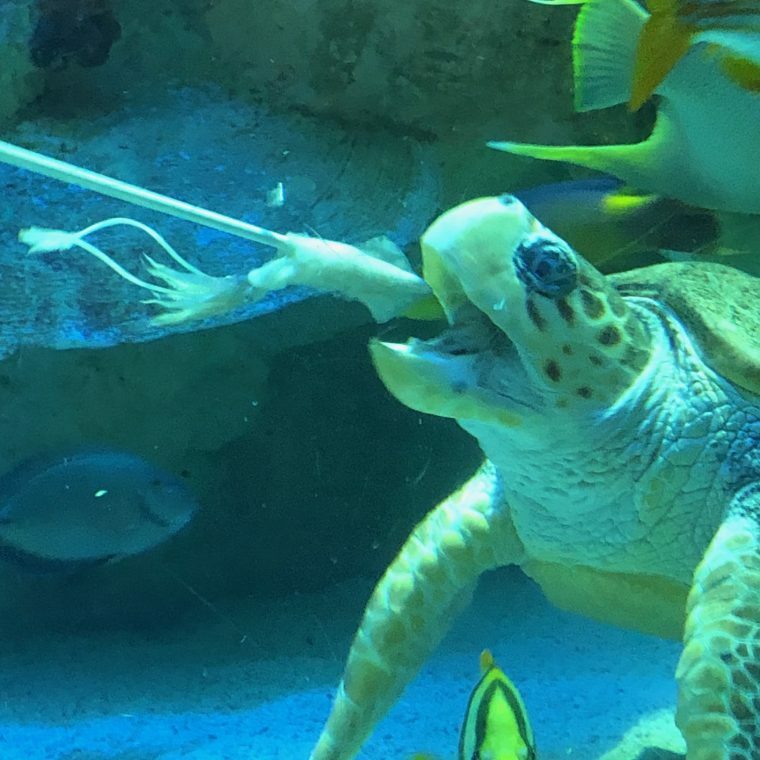 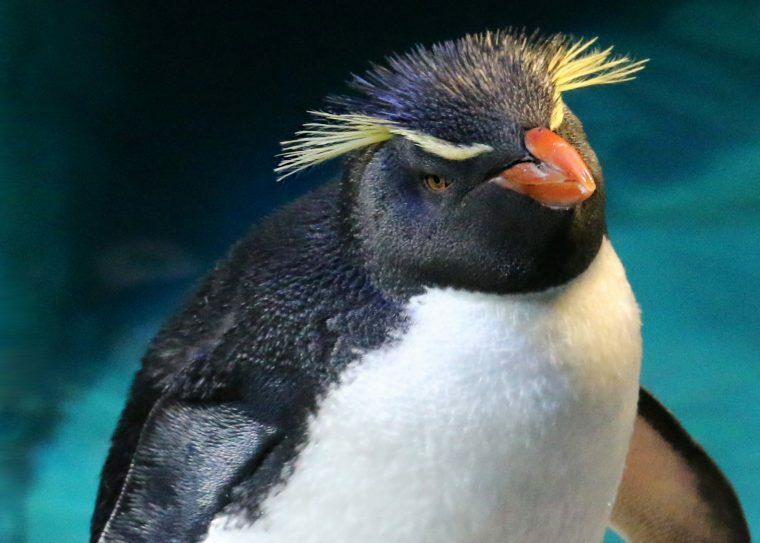 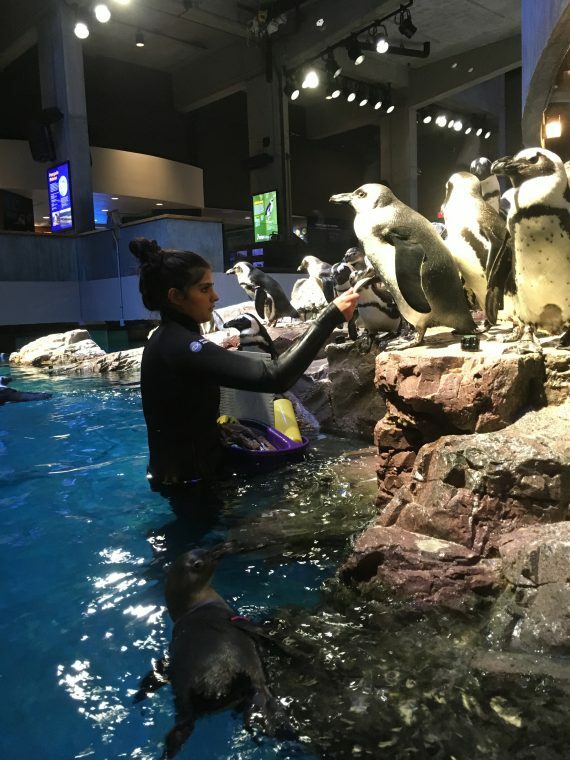 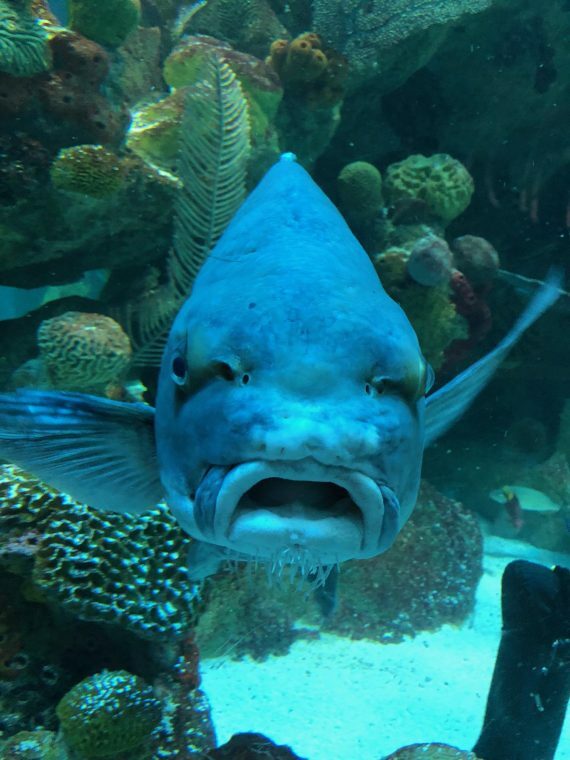 If you’d like to support our work at the nonprofit New England Aquarium, please consider a donation.